Problem: Invite people to visit the site. 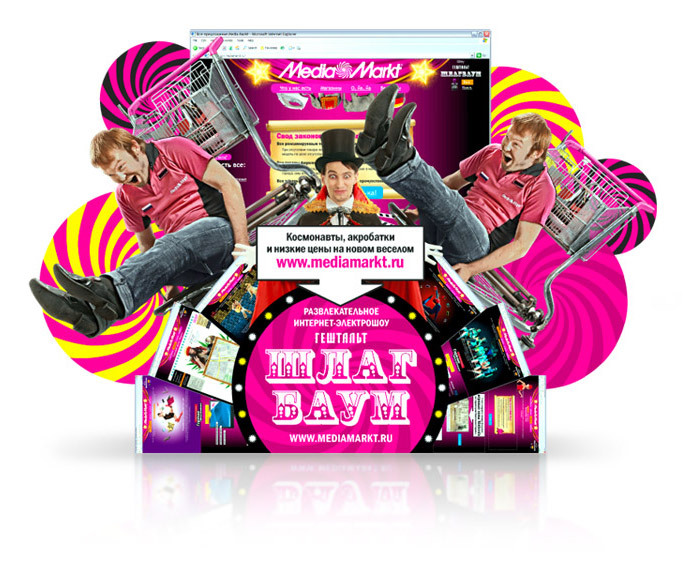 These 2 m high stands with website screenshots and characters are going to appear in all Media Markt store around the country. Customers will know at a single glance that the site is so much fun, they just have to visit it.